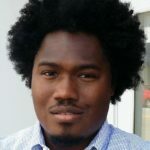 Public Investments: A Foundation for a Culture of Health in N.C.
Brian Kennedy joined the Budget & Tax Center in August 2016 as a Public Policy Fellow through the Center for Budget and Policy Priorities, and became a Public Policy Analyst in July 2018. Prior to joining the NC Justice Center, Brian taught middle school social studies in Charlotte, NC. Brian’s policy interests include poverty alleviation, the social safety net, and community assets. Brian holds a Masters of Public Policy from The Heller School at Brandeis University and bachelor’s degrees from North Carolina Central University.